German Moreno backs out of his scheduled guesting today in DJ Mo Twister's morning radio program, Good Times, at dwTM Magic 89.9. Kuya Germs, as the veteran showman is known all over showbiz, was supposed to play the “Forbidden Questions” game, which is the portion of the program where guests are made to answer juicy questions about other showbiz personalities. 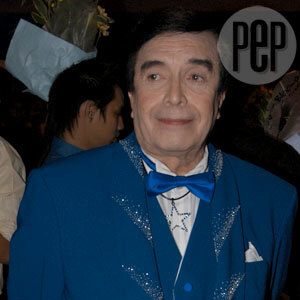 “Yeah, I promised him na pupunta ako,” Kuya Germs had said in an interview with PEP (Philippine Entertainment Portal) last week. The disc jockey, who has suddenly become hot item in showbiz talk shows, insists that things are still good between him and Kuya Germs. Also last week, the disc jockey dropped in on the showbiz veteran to mend the rift between them. Kuya Germs's appearance on Good Times was supposed to be Kuya Germs's way of returning the gesture.